Put a number of +1 power counters on one of your Friends equal to that Friend's power. 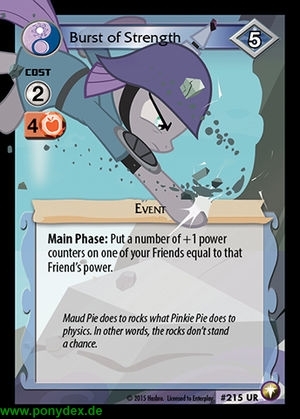 Maud Pie does to rocks what Pinkie Pie does to physics. In other words, the rocks don't stand a chance.